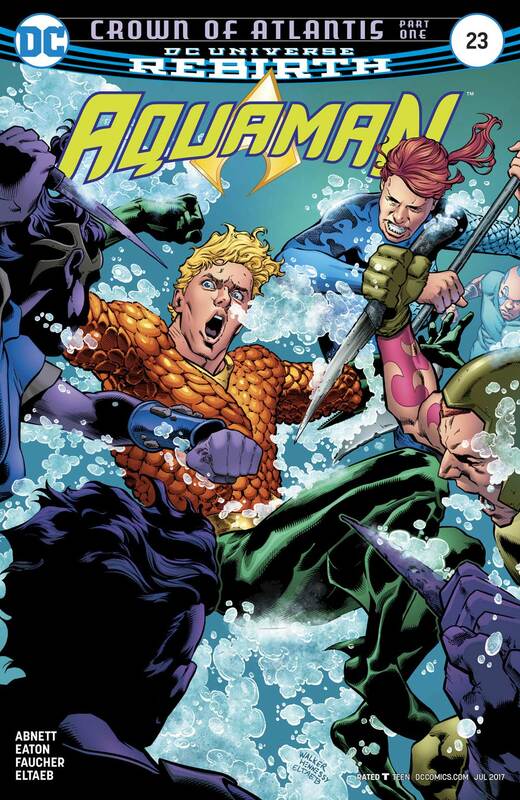 Rob & Shag catch up on what’s happening with AQUAMAN, taking a look at issues 23-30 of the current series by Dan Abnett, Scot Eaton, Wayne Faucher, and Stjepan Sejic! Images for THE FIRE AND WATER PODCAST Episode 203! Click each image to enlarge! Leave your comments over on the podcast post by clicking here! Rob welcomes fellow Fire and Water Network All-Star Xum Yukinori to the cabin to discuss SUPER FRIENDS #8, “The Mind Killers”, by E. Nelson Bridwell, Ramona Fradon, and Bob Smith! We wrap up with some Listener Feedback! Images for FW PRESENTS: MOUNTAIN COMICS Ep. 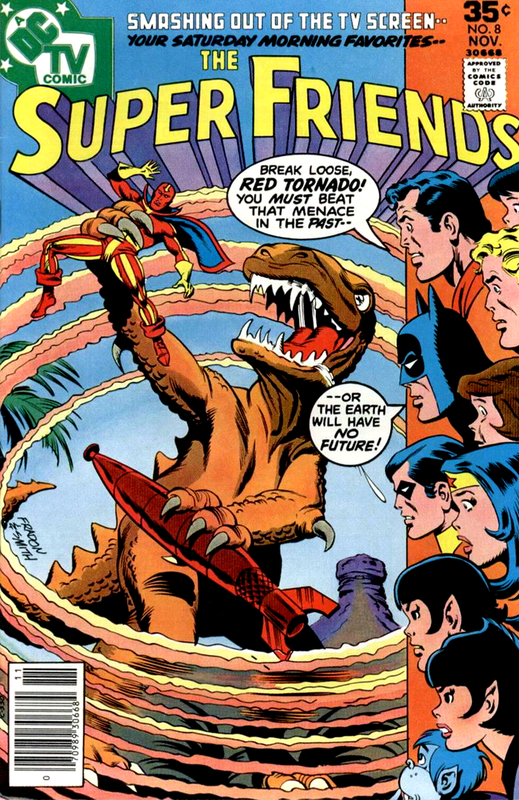 10 – SUPER FRIENDS #8! Leave your comments over on the podcast post by clicking here! Fire and Water’s Whoniversary Special! On this edition of Siskoid’s Mad Theories, he’s joined by two even wackier professors – the Irredeemable Shagg and Nathaniel Wayne – to answer questions about Doctor Who on its 54th Anniversary, questions asked by listeners like YOU! Bonus clips: Doctor Who’s “The Eleventh Hour” by Steven Moffat, starring Karen Gillen and Matt Smith; “Defending the Museum” starring Rob Shearman (from The Space Museum DVD); “E-Space Fact or Fiction?” presented by Sophie Aldred (from Full Circle DVD); “Making of The Ultimate Foe” featuring Clayton Hickman and Anthony Ainsley (The Ultimate Foe DVD); “Doctor Who Theme” (1996 version) and “Doctor Who Theme” (1974-1980 version) by Ron Grainer, arrangements by John Debney and Delia Derbyshire, respectively. To celebrate #Noirvember, Rob welcomes back Dr. Anj to talk about Otto Preminger’s 1950 film noir WHIRLPOOL, starring Gene Tierney, Richard Conte, and Jose Ferrer! Celebrate Thanksgiving with an extra helping of horror as Ryan Daly and Martin Gray review the deliciously dreadful story “The Gourmet” originally published in the first issue of PLOP! Check out these images from episode 17 of Midnight…The Podcasting Hour! 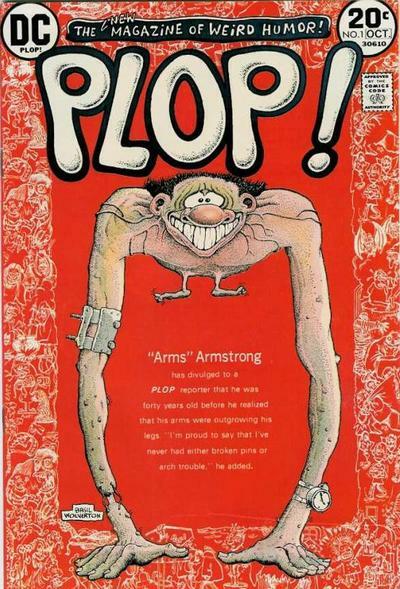 Cover to Plop! #1 by Basil Wolverton. In minutes 41:00 – 46:00, the Fortress of Solitude is built, and Jor-El (re)introduces himself to his son. Special Guest: Bob Fisher!